Set of 2 indigo blue ceramic coffee mugs with beautiful painted signs. 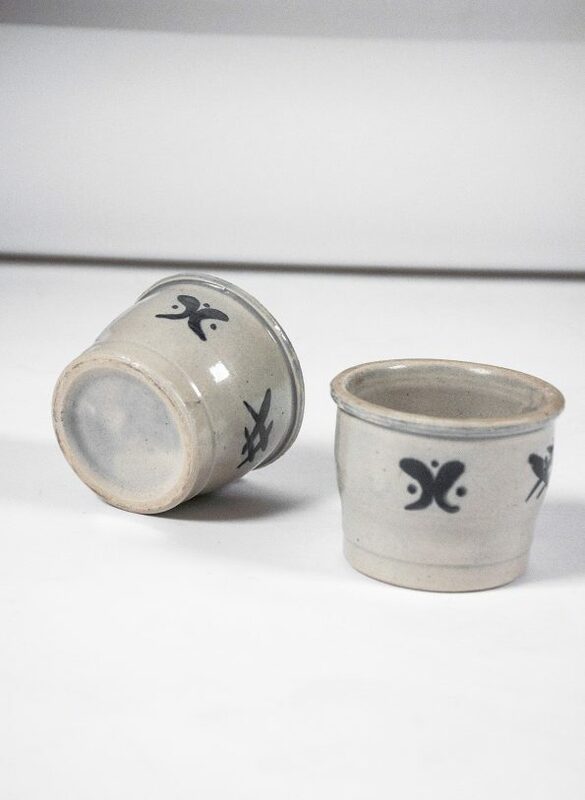 the cups are handmade and give us the indigo vibes. Colours: Grey pottery coloured with indigo blue signs.